As a premier meetings destination, the Pocono Mountains offer a vast selection of professional support to ensure an efficient, memorable and exceptional experience. Request promotional materials, registration assistance and anything else needed to enhance your meeting in the Pocono Mountains. As with all aspects of your meeting, one call to your personally assigned groups and meetings manager and we will facilitate all your needs... complimentary! The Pocono Mountains CVB provides support services to assist you in making your event or meeting a success. Customized lead generation and proposal coordination. Customized site inspection tours of Pocono Mountains hotels and attractions. Professional advice and assistance in planning off-site events for convention, group, event, spouse, or family gatherings. Provide materials, such as brochures, maps, digital images, DVD/Video and links to our websites. On-line services directory with helpful tools to ensure a successful event. 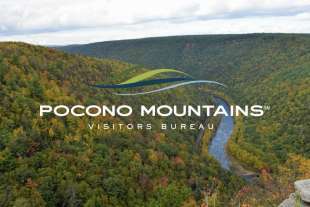 On-site visitor information as it relates to your Pocono Mountains event; on-site welcome table and registrar assistance to qualifying groups. Housing and transportation assistance to qualifying groups. Media assistance (The Pocono Mountains CVB provides promotional brochures in quantities for advance mailings to prospective attendees. Brief videos, a CD of images and other collateral materials are available to help boost attendance. Also, the Public Relations Department will assist with media relations by request, including distribution of a pre-written press release and Pocono Mountains editorial copy supplied for your meeting materials). Coordination of Personal Welcome/ Greeting from a Pocono Mountain Area Leader. Qualifying groups - Those groups with a max peak of 60 room nights or more during the course of their stay. Make your next event an unforgettable experience in the Pocono Mountains by calling 1-800-722-9199.